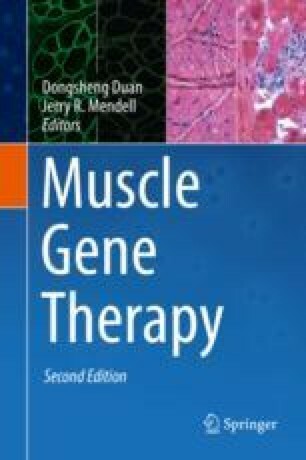 The development of molecular therapies enabling compensation of brain alterations in Duchenne muscular dystrophy is a major objective given the high level of functional impairment associated with intellectual disability and neuropsychiatric disorders in this syndrome. Functional and preclinical studies in mice lacking distinct brain dystrophins identified an accurate set of phenotypes, from the molecular to neurophysiological and behavioral levels, which can be used as markers of efficacy for brain gene therapy. Pioneer studies in this past decade provided encouraging results, demonstrating that both dmd-gene splice-switching correction and replacement strategies hold realistic prospects to rescue expression and function of the brain full-length (Dp427) or short C-terminal (Dp71) dystrophins responsible for variable degrees of cognitive impairment in DMD. Strategies that could correct or alleviate both muscle and brain dysfunctions entail selection of molecular tools able to cross the blood-brain barrier following systemic delivery, to largely spread in neural tissues, and to selectively target the neural cell types (neurons, astrocytes) that require rescued expression of distinct brain dystrophins. Recent breakthroughs show that this can be achieved by engineering naked antisense oligonucleotides with specific chemistries and/or adeno-associated virus vectors with selective capsid properties, thus raising new hopes to bring gene therapy closer to whole-body delivery and full treatment of DMD symptoms. This review was written jointly by the three authors. AFM-Telethon (Association Française contre les Myopathies, France) and Agence Nationale de la Recherche (ANR, France) supported the recent research referred from the Vaillend laboratory. Faouzi Zarrouki was a recipient of a PhD fellowship from the Ministère de l’Enseignement Supérieur et de la Recherche (France). Ophélie Vacca received a postdoctoral fellowship from the AFM.